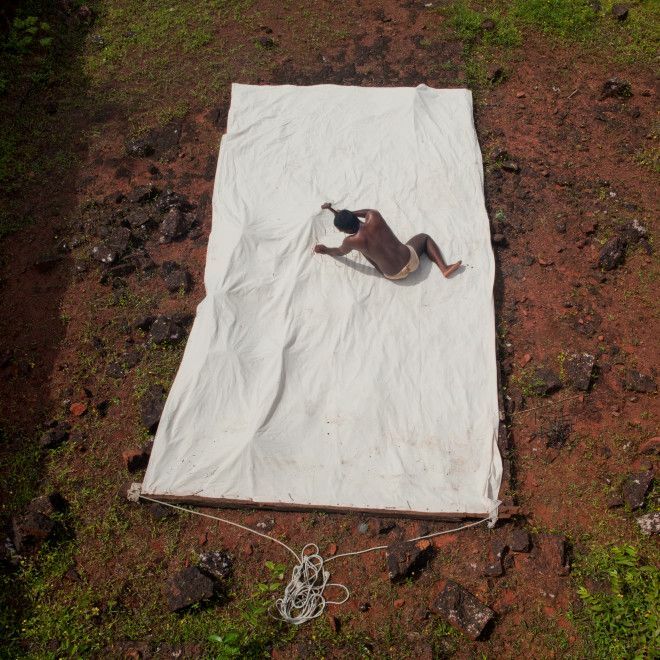 NAE’s South Asian season begins with two new exhibitions in our Main Gallery: Bhairav and Dam Pani. At the centre of Bhairav is a new film by Munir Kabani and Nikhil Chopra, featuring Sajan Mani, Madhavi Gore and musician Ustad Bahauddin Dagar. Bhairav, from which the film takes its name, is considered to be one of the most ancient raags in Hindustani classical music, typically played in the early hours welcoming the dawn. Here, the raag sets the tone of the work, as the film reveals the architecture and landscape of Goa through precolonial, colonial and postcolonial eras. The work explores man’s relationship with the earth, spirituality and the passage of time, also highlighting issues of marginalisation. Starting on Friday 14 July, 3pm, and concluding in the early hours of Saturday morning, a number of live art performances will take place to complete the installation of Bhairav. A durational drawing performance by Chopra will result in a large-scale work that will remain part of the exhibition until its close. Also performing will be Sajan Mani, known for his work around the politics of skin and Madhavi Gore ‘replacing’ the mannequin in a local shop window. Join us for a rare and majestic midnight music performance by rudra veena player, Ustad Bahauddin Dagar. Newly commissioned with the artists, New Art Exchange and Chatterjee and Lal. Supported by Here, There and Everywhere, a Midlands-London consortium led by New Art Exchange with Delfina Foundation, QUAD/FORMAT, Primary and mac Birmingham as core UK partners. Supported through funding by Arts Council England and British Council as part of a national project, Reimagine India.